With each passing day, if your face looks more and more like a greased up pan, then it is time to pay attention before the oil mills run havoc!! The humid weather is a bane for those with oily skins. Feeling greasy, sticky and shiny, you’d think your face resembles a pizza base… not an appetizing thought!!! The one time oil isn’t quite as prized! If your skin feels greasy to touch and is prone to blackheads and pimples, you are in the oily skin club. Oily skin tends to attract more grease and grime leading to acne and comedowns. That’s why it is imperative to keep oily skin clean. The cleaning toning moisturizing routine acquires more importance for oily skin. But we tend to overdo the cleansing. Washing your face four time a day only ends up producing more oil. Instead, select a mild cleanser and use it only twice a day. Follow it with astringent to remove excess oil. But not to go for alcohol-based astringent as it strips too much oil from the face. Keep your skin clean. Even make-up should be kept to the bare minimum-kohl and lipstick. The more foundation you use, the higher the chances of clogging up your pores. Oily skin types should resist deep fried foods and fatty foods. Drink at least 12 glasses of water. Water helps to flush out toxins. Now is a good time to make seasonal fruit (watermelon, muskmelon) and vegetables (ghia, tinda, cucumber, tomatoes) part of your daily diet. Naturally succulent they are rich sources of water. Using a toner is a good way to cut oil. Adding a pinch of salt to soda and dabbing it on oily areas to get out of the sticky situation. Toners cool the skin and they range from fresheners, toners, clarifiers to astringents with fresheners being the mildest and astringents the strongest. So start with a mild freshener and advance up the line until you get the results you want. Exfoliating and using a mud pack also help check the oil. But those with combination skin and oily T-zone must treat their skin as two different types. Some quick fixes from your kitchen. Multani Mitti (This white powder is produced from clay which has great cleansing properties for both the skin and hair.) or Fuller’s earth makes an excellent cleansing mask, and possesses highly absorbent qualities. It is rich in minerals and when applied to the skin in the form of a paste, it helps improve circulation; it hardens slowly as it dries, and absorbing the dead cells on the top of the skin and dries up any excess oil. Packs are a great way to check oiliness. 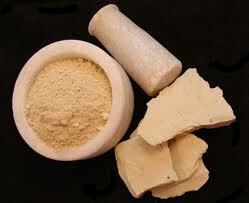 Multani mitti is especially suited to oily skin. Add 1tsp mint, 2 drops clove oil and rose water to the mitti and apply to your face Let it dry. Wash refrigerated water. This will also tighten your pores. If you have an oily T-zone, take 2 tsp honey and add a pinch of camphor to it. Massage it on the oily area and rinse well. Take 1 tsp beauty grains (choker, oatmeal), 1 tsp orange peel powder and 1 tsp sandalwood. Add these to your face wash and make a paste. Apply to the skin and rinse. 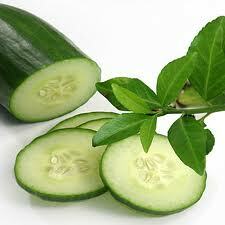 Grate a cucumber finely or blend it into a paste. Refrigerate it and later apply to the face. Keep on for 15 minutes. Wash off with cold water. For best results, repeat twice a week, on a cleansed face. You can use apples or tomatoes similarly. Seasonal veggies and fruits help you ban the oil!!! 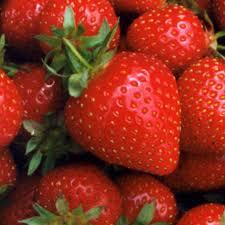 Strawberries: Make a mush of berries and apply to the face. Acts a natural scrubber. 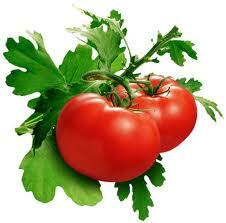 Tomatoes: Take refrigerated raw tomato halves and apply to the skin after cleansing. Tomoto has natural Alpha Hydroxy Acids. 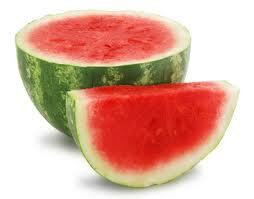 Watermelons: Don’t throw away watermelon peels. Refrigerate them and rub on your cleansed face. Shrinks pores and reduces oiliness. 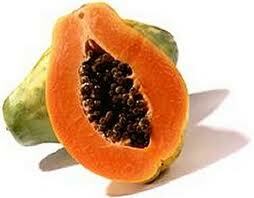 Papayas: Papaya paste works wonders for sticky skin. Cucumber: Blend cucumber and mint in a blender and set to freeze in an ice-tray. Rub these cubes on your face after cleansing for a rejuvenated skin.